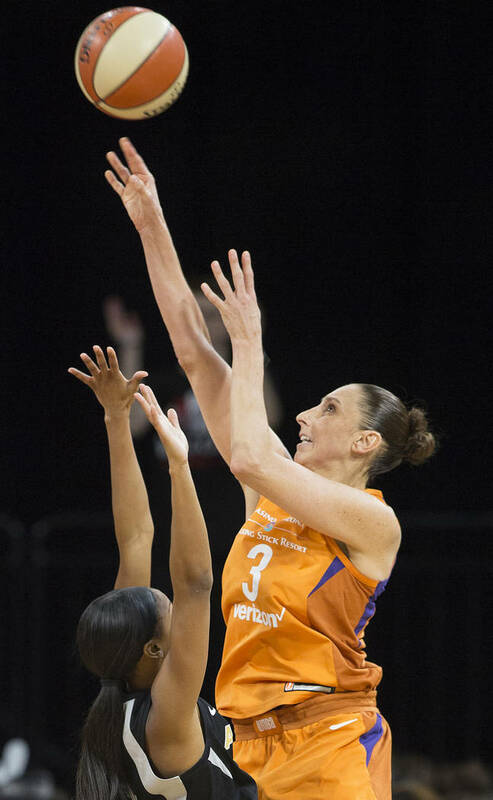 Las Vegas succumbed to the incomparable greatness of the legendary Diana Taurasi, and stumbled to a 104-93 loss to her Phoenix Mercury at Mandalay Bay Events Center before an announced crowd of 5,129. 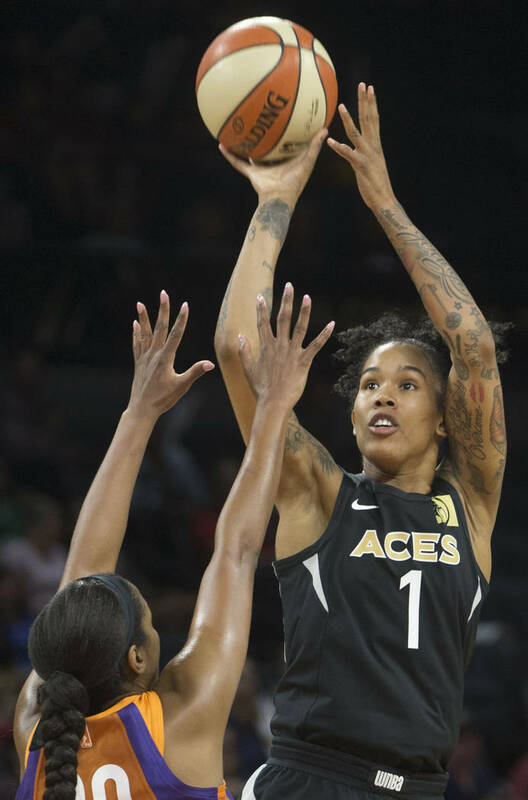 Aces guard Kayla McBride calls it the “Midnight Rule” — no lamenting a loss after midnight. 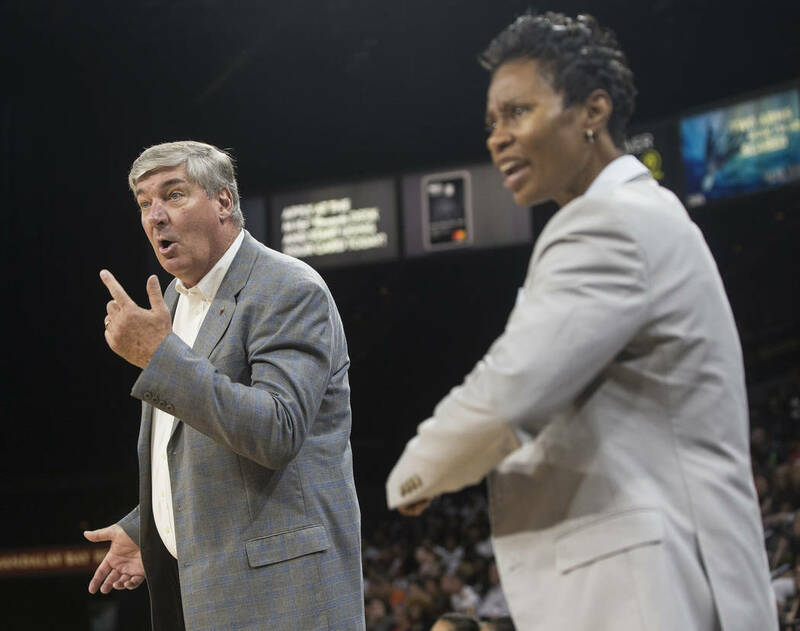 It was in full effect Wednesday night. 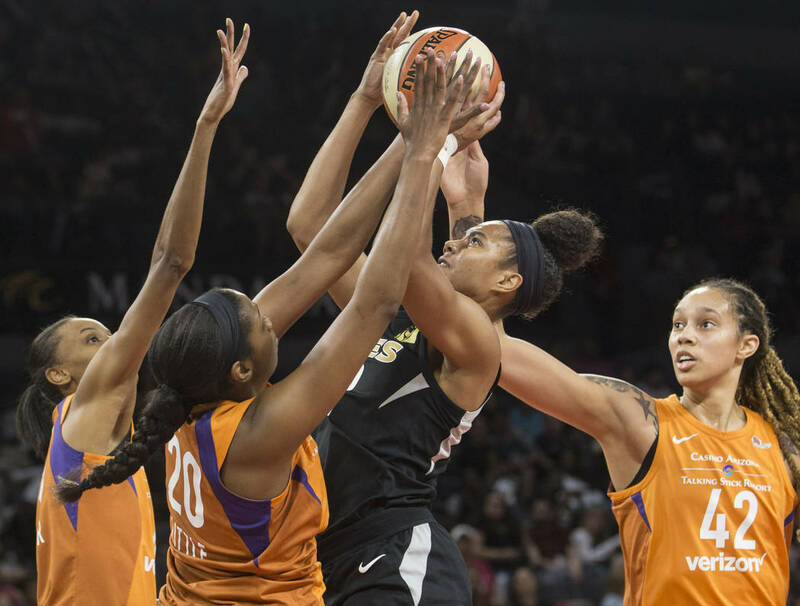 Las Vegas succumbed to the incomparable greatness of the legendary Diana Taurasi and stumbled to a 104-93 loss to her Phoenix Mercury at Mandalay Bay Events Center before an announced crowd of 5,129. 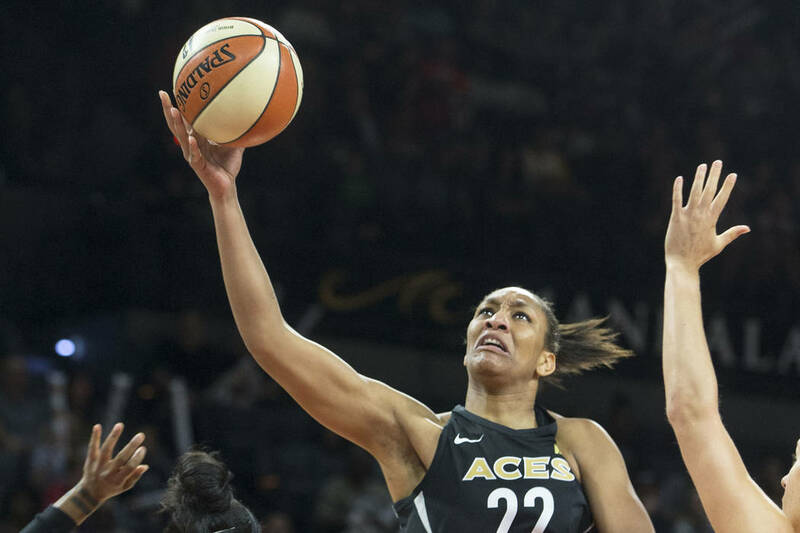 The Aces (12-14) are two games behind the Dallas Wings for the eighth and final playoff spot with eight games to play in their inaugural campaign, and will embark Thursday on a three-game road trip against three playoff teams, including the Connecticut Sun, who won Wednesday to claim the seventh playoff spot. 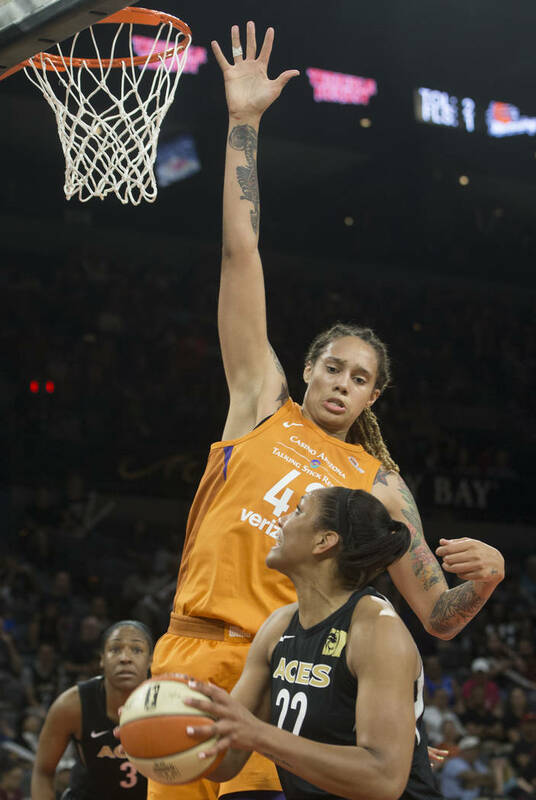 There is a logjam near the bottom of the standings in this the final month of the condensed WNBA season. 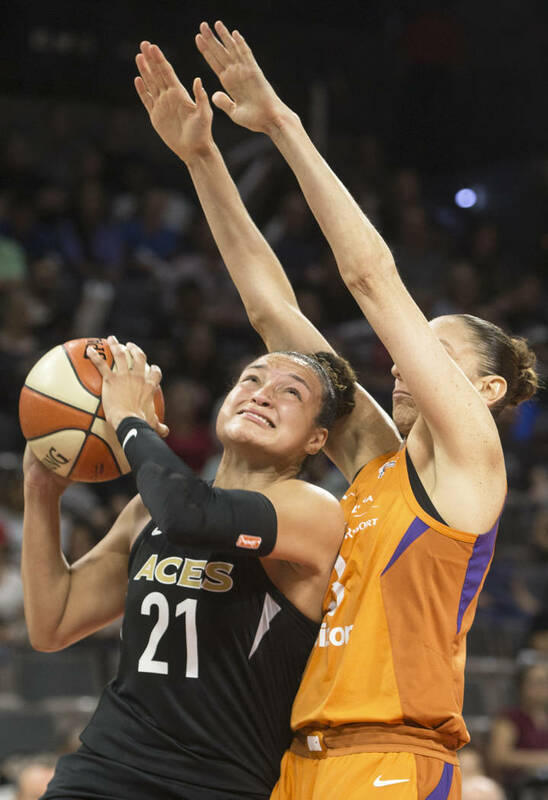 And while the Aces hardly had any margin for error before losing to Phoenix (16-12), there’s almost certainly no margin for error now. 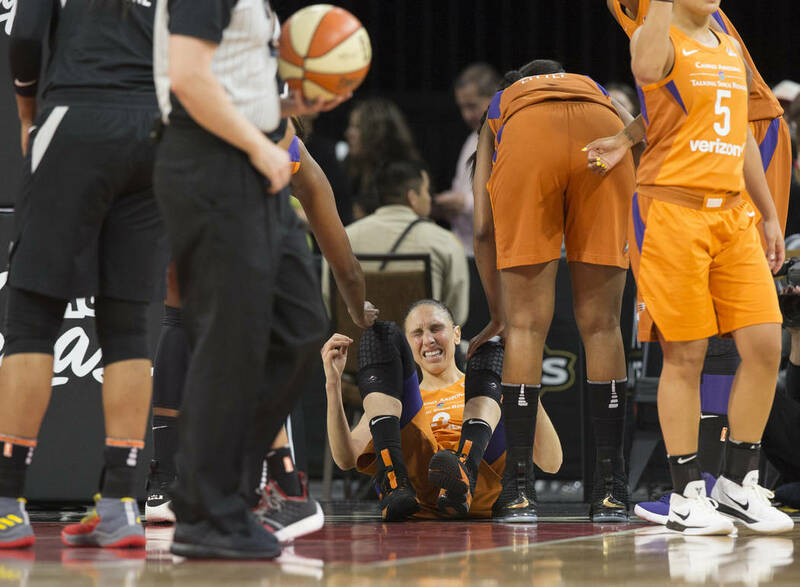 And so did a couple of her teammates. 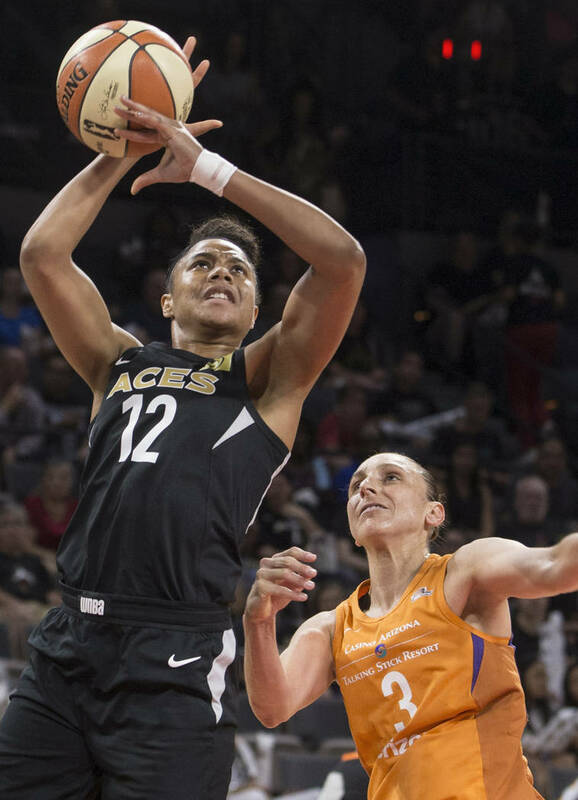 The 36-year old icon and nine-time All-WNBA first-team honoree was at her zenith and unleashed a season-high 37 points and nine assists on the Aces. 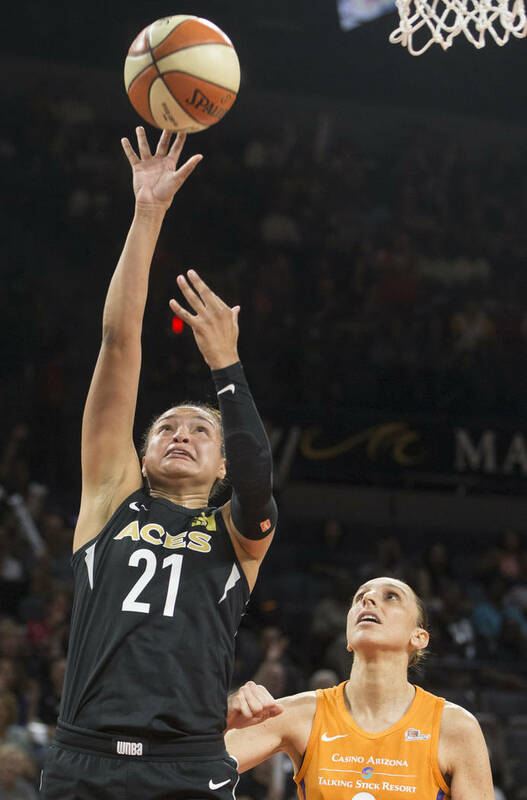 She willed her way to 18 free-throw attempts, converted 17, and hit a pair of crucial 3-pointers in the fourth quarter amid an Aces’ comeback. 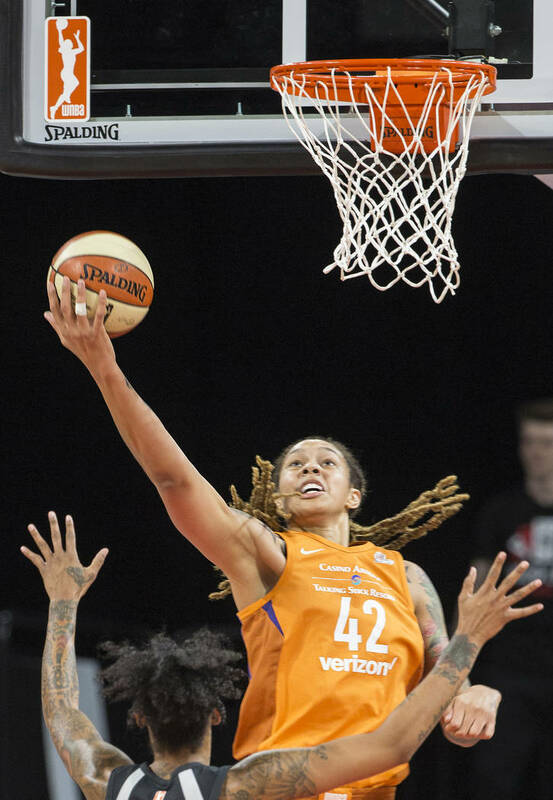 Center Brittney Griner added 25 points and 11 rebounds, and tertiary scorer DeWanner Bonner provided 20 points and 14 rebounds for the Mercury, who shot 50.8 percent, including, 42.8 percent from deep, and made 29 of 35 free throws. 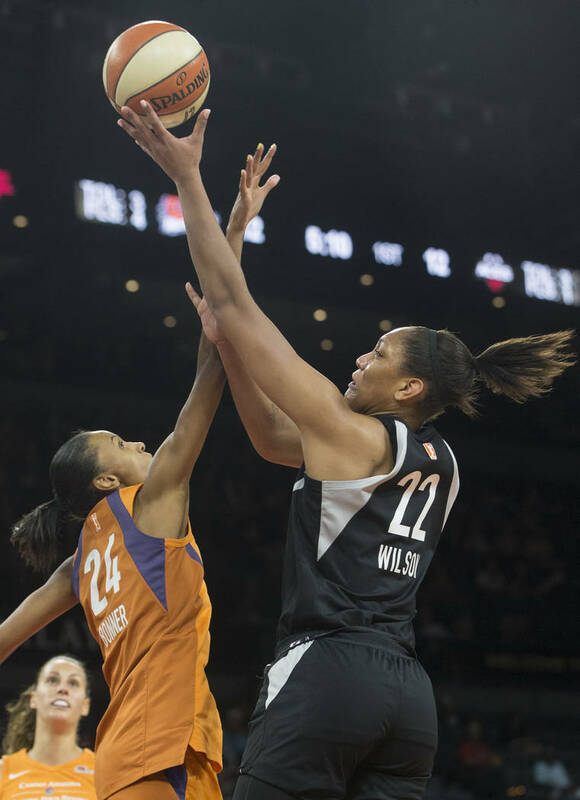 A clinical offensive performance by three of the league’s 22 all-stars. 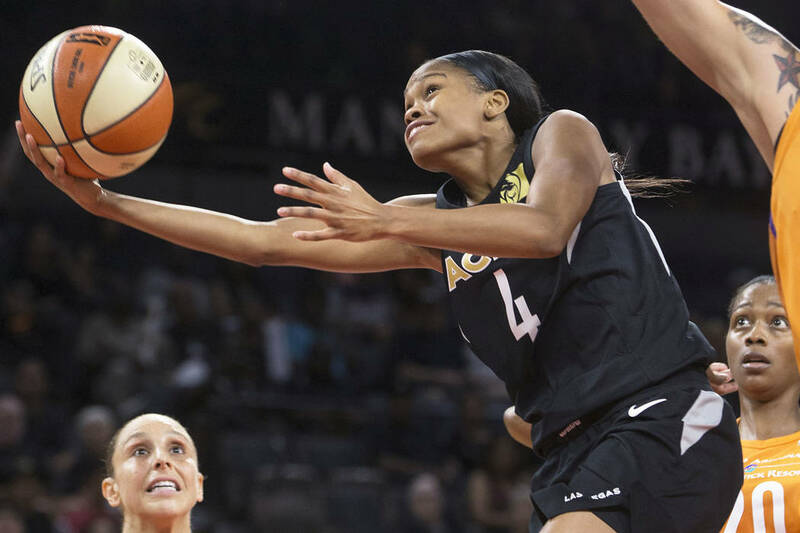 And a poor defensive effort from the Las Vegas after the nine-day all-star break. 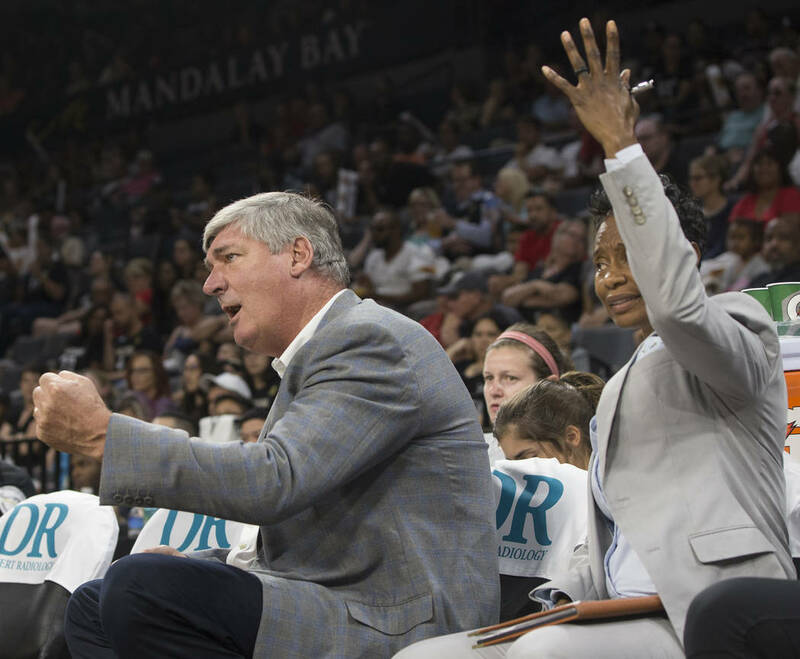 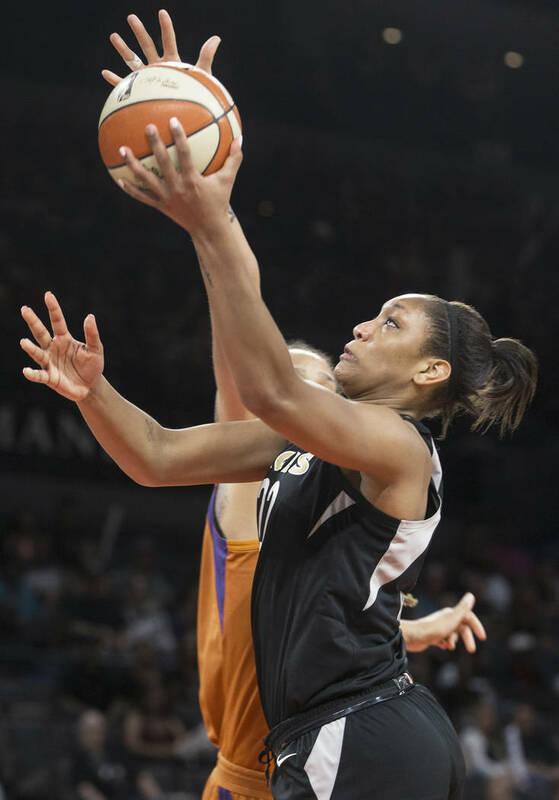 Two-time WNBA Rookie of the Month A’ja Wilson scored 29 to lead the Las Vegas, but McBride was 5-of-17 from the field as the team shot 39.3 percent and made two 3-pointers. 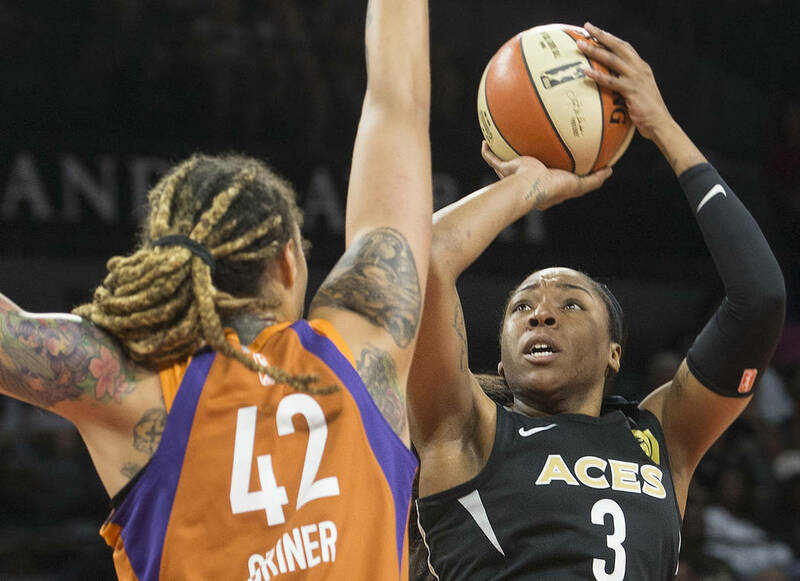 The Aces jumped out to an early five-point lead in the first quarter and struggled to string together stops for the ensuing 37 minutes as Taurasi and Griner settled in. 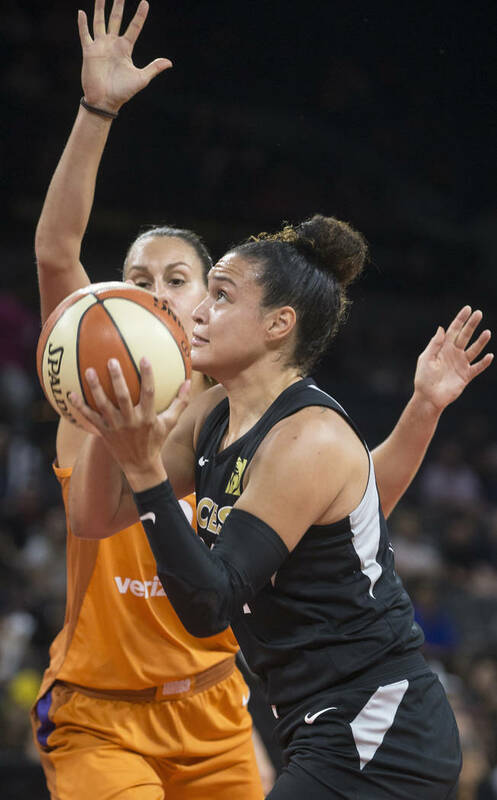 McBride finished with 18 points and Tamera Young and Dearica Hamby scored 10 apiece. 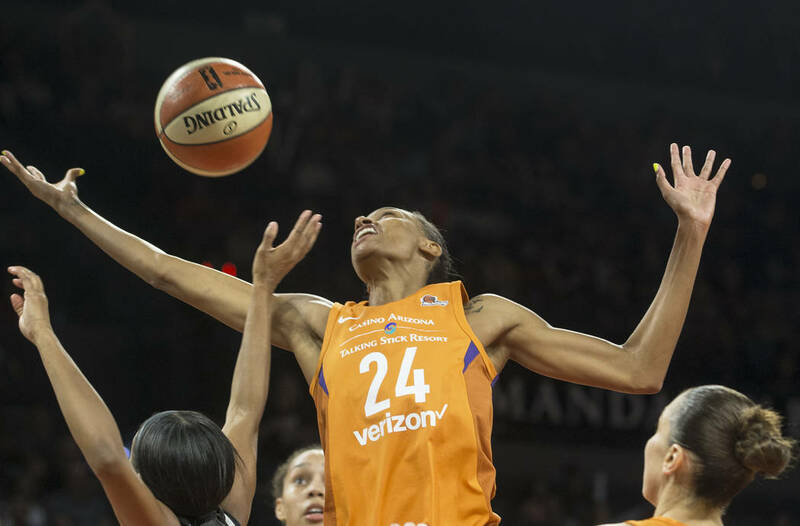 Washington, Connecticut and Atlanta await. 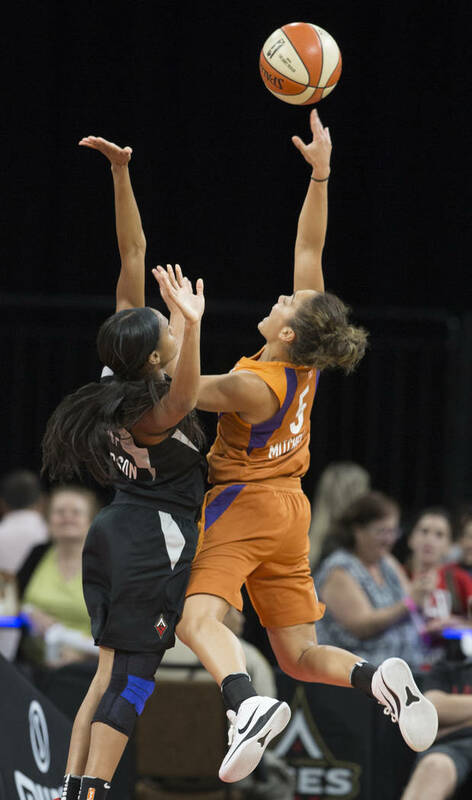 More Aces: Follow online at reviewjournal.com/aces and @RJ_Sports on Twitter.